This set of golf discs includes 9 discs (3) drivers, (3) mid-range discs and (3) putters. Disc driver specs (yellow discs): speed 9, glide 5 , turn -3 , fade 1. Mid- range specs (orange discs): speed 4, glide 4, 0 turn, 3 fade. Putter specs (blue discs): speed 2, glide 3, turn 0, 2 fade. 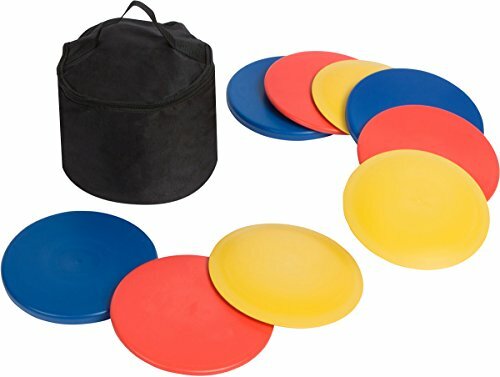 Great starter set for someone wanting to learn the game. By Trademark Innovations.